Take a scenic self drive road trip through the poetry-inspiring Scottish Borders region and the UNESCO-listed Lake District, an area that played muse to countless writers and artists. This leisurely driving tour from Edinburgh takes you along rolling hills, moorlands, haunting castles, abbey ruins, quaint villages and, of course, magnificent lakes! Hike up to panoramic viewpoints, stroll the narrow streets in Victorian towns, sample Lowland whisky and perhaps enjoy a cruise aboard a traditional steam-yacht. Welcome to Edinburgh. For an easy and comfortable way to get from Edinburgh Airport to your hotel in the city centre, we are happy to arrange a private transfer for you (optional, at additional cost). After settling in, go out and explore the city. Edinburgh has a long and storied history, so there’s no shortage of UNESCO World Heritage Sites, museums and landmarks to visit. 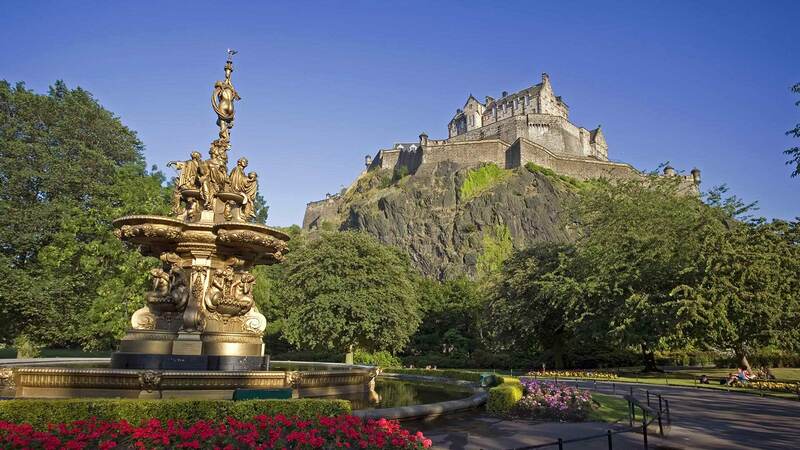 A stroll along the bustling Princes Street, with views over the gardens to the Edinburgh Castle, also makes a nice introduction to the city centre. Head for the scenic Scottish Borders area today with its charming old villages and gently rolling hills. On the way you can visit Glenkinchie Distillery and taste its 12-year-old single malt whisky, which was named Best Lowland Single Malt in the 2013 World Whiskies Awards. For a great photo opportunity, don‘t miss a stop at the scenic Scott‘s View, one of the best known lookouts in the southern Scotland! Another suggestion is to visit the area‘s historical abbeys. Perhaps the most famous is the St Mary’s Abbey, also called Melrose Abbey, a partly ruined monastery of the Cistercian order, the first of its kind in Scotland. The ruins make for a hauntingly beautiful sight, especially with moody clouds hanging low overhead. We also recommend a visit to Abbotsford House, the ancestral home of Sir Walter Scott, the famous 19th century novelist and poet, beautifully located on the banks of the River Tweed. Continue making your way south passing Hawick, Langholm and eventually the Scottish-English border, to arrive at Keswick, your destination tonight in the beautiful Lake District. Spend the night in the Keswick area. 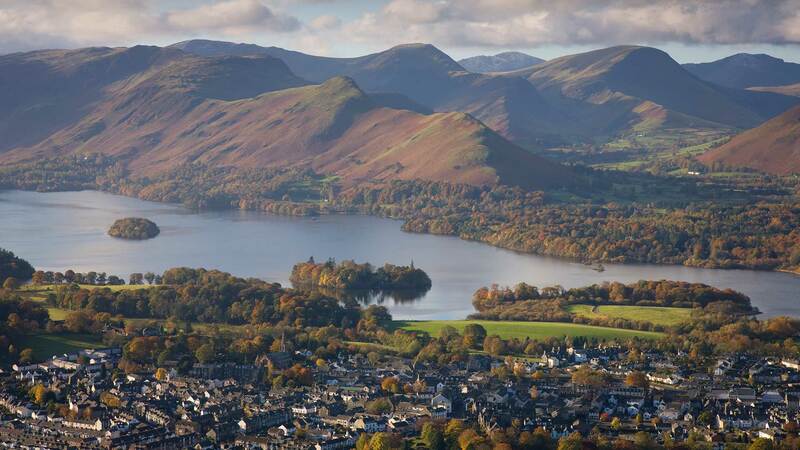 Enjoy an easy day of exploring beautiful Keswick and its surroundings in the northern Lake District. 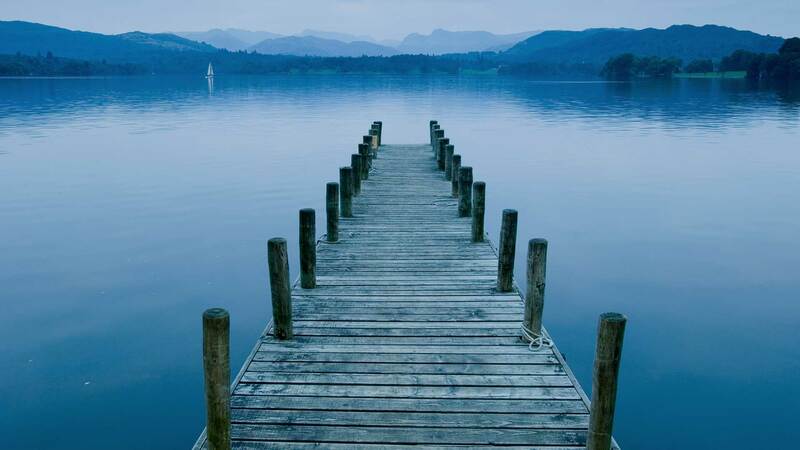 Keswick itself is an attractive town on the shores of Lake Derwentwater, and from the boat landings you can catch a cruise across the lake or rent a rowing boat. Friar‘s Crag, a viewpoint with beautiful vistas over the lake and distant mountains, is another popular spot. If you‘re keen on heritage exhibitions, the Keswick Museum and Art Gallery are both worth a visit. A short drive from town brings you to the ethereal Castlerigg Stone Circle, offering a 360-degree view of mountainous landscapes. 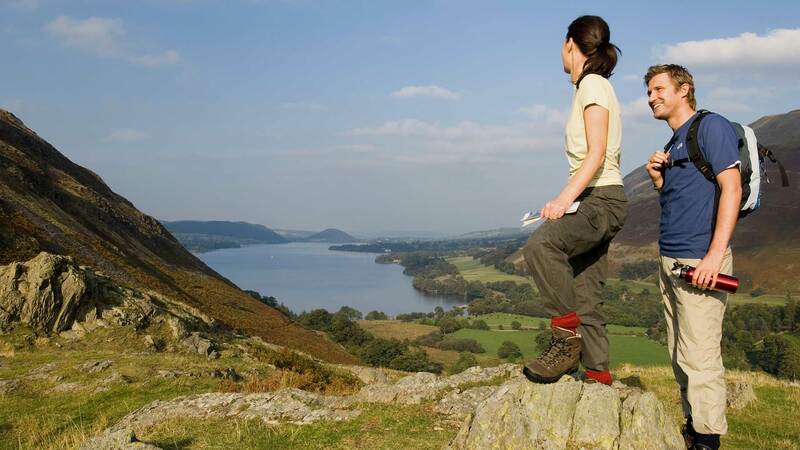 For more fantastic views, take a walk to the Lattrigg fell viewpoint overlooking Keswick. You can also take a scenic drive along the eastern shore of Lake Derwentwater, passing the Ashness Bridge, Lodore Falls and Borrowdale and then over the Honister Pass to Buttermere, one of the most picturesque locations in the Lake District. After all the walking today, treat yourself to some homemade ice cream at the Syke Farm Tearoom on the way back to Keswick. Spend another night in the Keswick area. 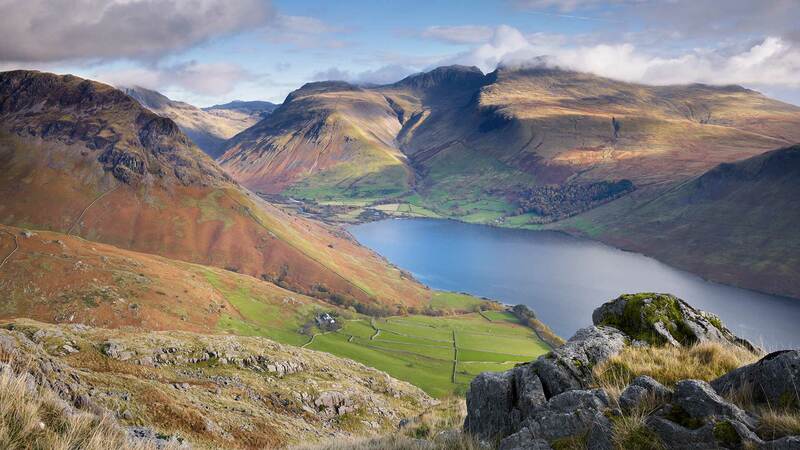 Heading west today, your first stop is Wastwater, voted Britain‘s Best View. Nearby you can stop for refreshments at the Wasdale Head Inn, a remote 200-year old pub at the foot of Scafell Pike, England‘s highest mountain. Your next stop is Ravenglass, where you can take a hilly ride on the Ravenglass & Eskdale Railway, one of Britain‘s oldest and longest narrow-gauge railways. You can also visit Muncaster Castle, an allegedly haunted 14th-century castle with exquisite gardens containing many plant specimens rarely seen in the UK. Before continuing to your evening destination, you may also enjoy a visit to the Hawk & Owl Centre by the castle, offering bird of prey flying displays and more. Spend the night in the Windermere/Ambleside area. Explore the heart of the Lake District. The entire region was recently inscribed on the UNESCO World Heritage List on account of its natural beauty and literary connections, and today you'll get to visit sites that perfectly reflect both of these attributes. Take some time to wander around Ambleside, a lovely Victorian market town with many little shops and cafes in a serene lakeside setting. Then head to Hawskhead, a quaint village with narrow streets and whitewashed houses. Here you can visit the Beatrix Potter Gallery, a 17th century building housing an exhibition of original illustrations by one of world’s most beloved children‘s authors. For a nice place for a nature walk, we recommend the Tarn Hows, one of the most popular picnic spots in the area. Whilst the ponds here are man-made, they are surrounded by thick woodlands and beautiful views. 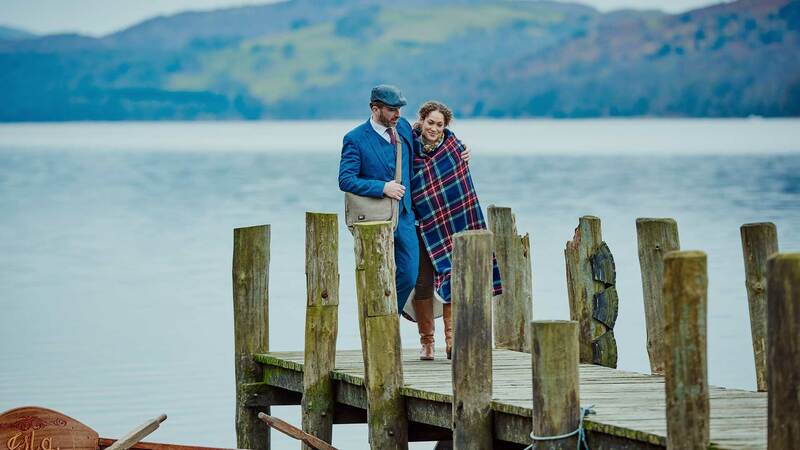 Then head to Coniston, where you can opt for a lake-cruise on Coniston Water aboard a rebuilt Victorian steam-powered yacht. Continue your drive on small, scenic roads through Little and Great Langdale, past the picturesque Blea Tarn — a great spot to stretch your legs again and soak in the magnificent views of the Langdale Pikes. Finish off the day with a walk around the idyllic village of Grasmere. Spend another night in the Windermere/Ambleside area. It’s time to head back towards Edinburgh today, but not before taking in a few more sights in the Lake District! Travel up the twisting road to the Kirkstone Pass, where — if the weather allows — you can enjoy refreshments outside the 15th century Kirkstone Pass Inn, standing at 1,500 feet over the valley. Continue to Ullswater, the Lake District‘s second largest lake, where you will have one last opportunity for a short lake cruise. And don‘t miss a walk to the beautiful Aira Force Waterfall, dropping 65 feet into a gorge surrounded by a lush forest. You can also visit the romantic ruins of Lowther Castle, surrounded by over 130 acres of hidden gardens, enchanting woodlands and breathtaking views. 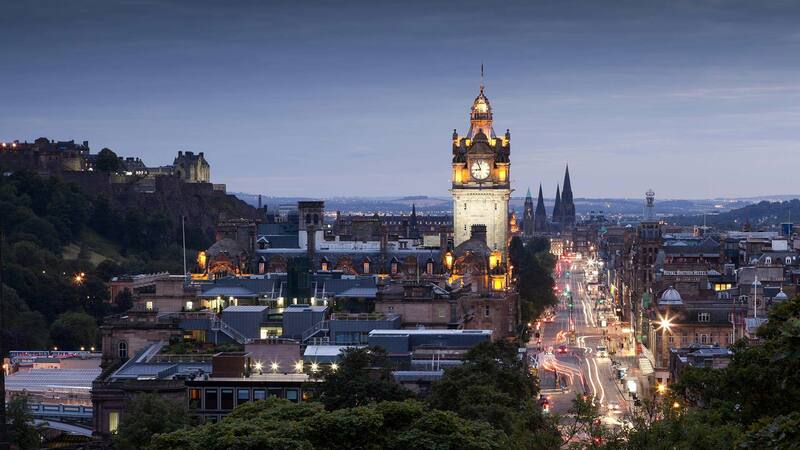 In the early afternoon, head back to Edinburgh and return your car, then enjoy the rest of the evening at your leisure. To get to Edinburgh Airport, simply take the Airport Express bus from Waverley Bridge or a taxi directly from your hotel. If your flight is in the afternoon, enjoy some last-minute shopping or visit a museum you may have missed at the beginning of your trip. If you wish to spend more time in Edinburgh (or Glasgow) before or after the tour, ask your travel consultant about adding extra nights. We can also arrange optional services such as private airport transfers or even extend your trip to include Nordic destinations, such as Iceland or Norway. July and August are Scotland’s busiest travel months, known as the high season. August is an especially busy month in Edinburgh, due to a number of major festivals taking place throughout the month. The Isle of Skye can also be quite congested in July and August, with its status as one of Scotland’s ‘must see’ destinations. Furthermore, with Scotland being big on all things outdoors, the summer is also the time for various popular activities such as Highland Games, music festivals and sporting events! Please keep in mind that during this season, there is less availability at accommodations and attractions tend to be the most crowded. Booking a tour in the shoulder season — May and June — offers a more peaceful travel experience, a better chance at reserving preferred accommodations and prices that are as much as 15% lower than high season. For even greater savings and fewer crowds, consider booking in the low season, April and October. Our travel consultants are happy to offer you more information about the differences in Scotland’s travel seasons and the best times to visit based on your needs and interests. Extra nights can be added to this package on request. Contact us for details. This tour is subject to availability. Remember, motorists drive on the left side of the road in Scotland and England. Many roads in the Lake District are single track and can get quite narrow in places. We recommend taking your time on the roads and driving with extra care. We recommend booking well in advance, especially for July or August arrivals when there is great demand for ferries and accommodations.